Virtual workspace provider oneclick AG has partnered with Qmulus to enable the Sage solutions provider to offer its customers and Sage Partner network full access to business applications with any device through one single web portal. The oneclick platform lets Qmulus customers bridge the gap between local desktop applications and online device agnostic applications. Users will be able to access their applications from anywhere, on any device whilst having full control of their data. 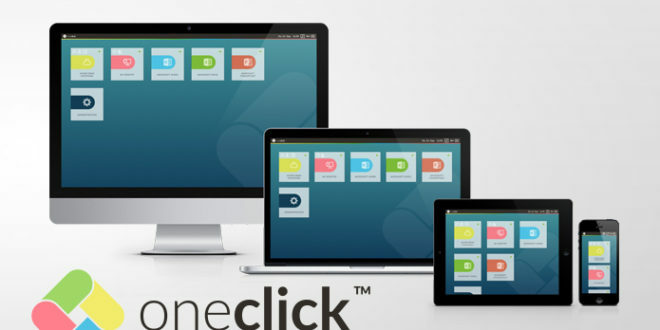 “Working with Qmulus and Sage is an exciting progress for oneclick, as our cross platform compatibility solution is able to connect accountancy businesses with the access to solutions they so desperately require,” said Dominik Birgelen, CEO of oneclick. Qmulus will be able to quickly deploy any Sage product from on-premise to cloud with the adoption of oneclick, as well as offering full access to Sage software from any device. Processes such as order taking will be carried out in real-time for Qmulus’ customers, from any location, giving businesses the capability to show real time information in front of the customer.